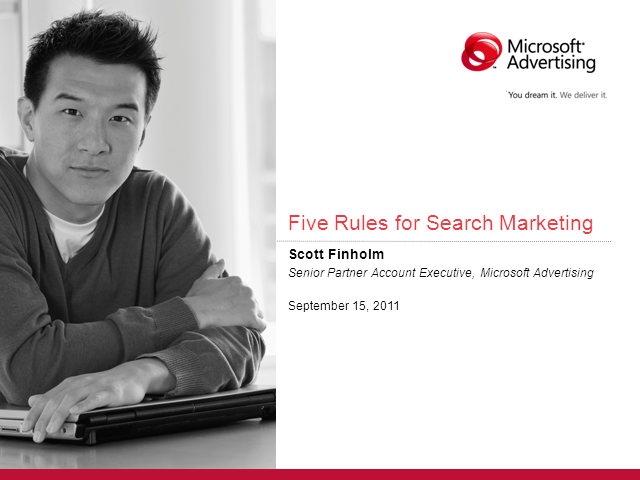 Scott is a Senior Partner Account Executive on Microsoft Advertising’s Global Partner Sales team. Scott has been in the online advertising industry for the past 10 years including focusing the last 5 years on the local/SMB online marketing industry including directly servicing partners like AT&T, Yell/Yellow Book and Yellow Page Group (Canada). He’s travelled the country implementing sales training programs with SMB-focused reps and has spoken at BIA/Kelsey, Search Engine Strategies and SMX conferences about how SMB customers and the partners that service them can maximize their marketing budgets using search and display advertising.